The Fuller Center Bicycle Adventure’s two summer rides — one from Ocean Beach, Calif., to Ocean City, N.J., and the other from Portland, Ore., to Portland, Maine — will conclude this weekend. Each of the rides is helping spread the word about The Fuller Center’s work through its church visits, build days and speaking with media representatives. 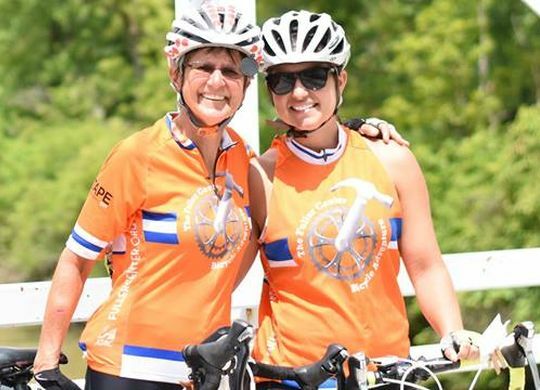 Among recent reports is this one on the Port to Port Ride from The Norwalk Reflector, as well as this one on the Ocean to Ocean Ride from The Allied News. If you would like to know more about The Fuller Center Bicycle Adventure’s current and upcoming rides — including the Dirt to D.C. Ride that begins September 14 — visit FullerCenterBikeAdventure.org.